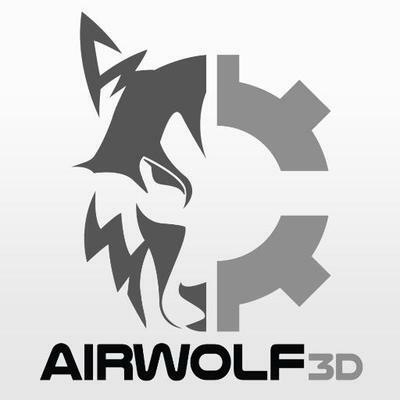 Airwolf 3D is premised on the philosophy of providing the public with something it has never seen before-an affordable, durable, easy to use 3D printer whereby users of all ages and backgrounds can create objects in a way never possible before. The Axiom 3D printer series is a feature-packed, yet affordable and easy-to-use solution that enables non-technical users to create their own 3D designs. The rugged units are versatile to fit almost any need. The AXIOM’s 1000 in³ build volume allows for very large 3D prints making it the ideal desktop solution for rapid prototyping and manufacturing functional products.Designed to be used and maintained without special training, Axiom includes hot swappable components and simple-to-perform device upgrades, minimizing downtime and extending the AXIOM’s service life. Print in two materials or colors at once thanks to independently controllable hot ends that reach temperatures of up to 320°C and are designed to resist troublesome clogs.